Who doesn’t love Disney animated films about talking animals? From 101 Dalmatians to Bambi, The Aristocats to Dumbo– the list is impressive. But hang onto your leash, because when Zootopia opens in theaters on March 4, you’re going to experience an urban jungle that’s like nothing you’ve ever seen before. 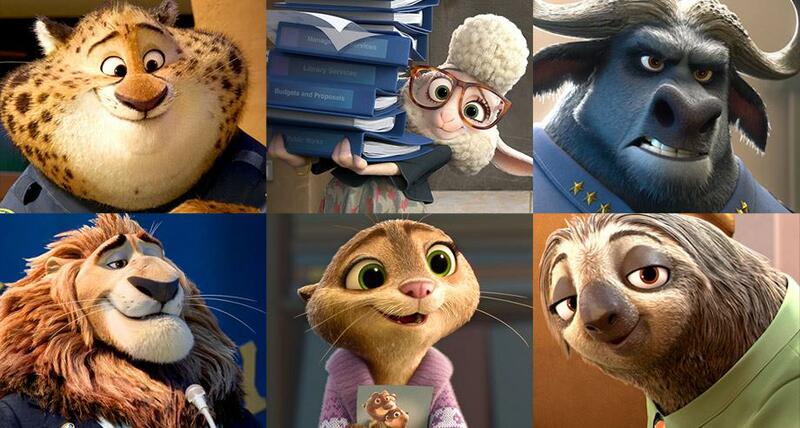 We chatted with Clark Spencer, the film’s producer, to learn more about the movie and discover how Zootopia differs from all the other animal talkies Disney has made. “We’ve made animated films about talking animals in a natural world and talking animals in human worlds, but we have never made a movie in a contemporary world where humans have never existed,” says Spencer. One of the first challenges was figuring out how all these animals from different climates were going to co-exist in one city. The filmmakers realized that all the great cities from New York to Hong Kong have distinct areas and neighborhoods. So they figured the city of Zootopia could as well. But it still didn’t quite answer the question of how animals like polar bears in Tundra Town were going to live next to, say, camels in Sahara Square. Enter the air conditioner. Seriously. After consulting with a climatologist and a city planner, the filmmakers came up with the idea of using a great wall to separate the various neighborhoods. But this is no ordinary wall. It’s a giant air conditioner. One side blows cold air into the tundra, the ‘exhaust’ side blows hot air into the desert area and the run-off goes into the Rainforest District to create mist and waterfalls. “It makes sense within the context of the film,” Spencer says. Challenge met. …like optimistic Officer Judy Hopps (voice of Ginnifer Goodwin). She’s the first rabbit on the Zootopia Police Department and she wants to prove herself. Easier said than done, since everyone else in the force is a huge mammal like a rhino, hippo or elephant. Who’s going to take a fluffy little bunny seriously? Not Nick Wilde (voice of Jason Bateman), a fast-talking, scam artist fox who becomes her unlikely partner on a tough case. “You know you have the right characters in the right relationship when you can put them into any scene and it’s funny,” Spencer says.